Since 1989, Magnolia has been New England's hometown Cajun band. at home and recognition in the Cajun heartland. Their dance lessons and music have helped build a strong sense of community at festivals and fais-do-dos all over Northeast. for more than twenty years! Playing high energy two steps and sultry waltzes, the band's twin fiddles, accordion, guitar, bass and of course, rich vocals keep the audience on its feet long into the night. 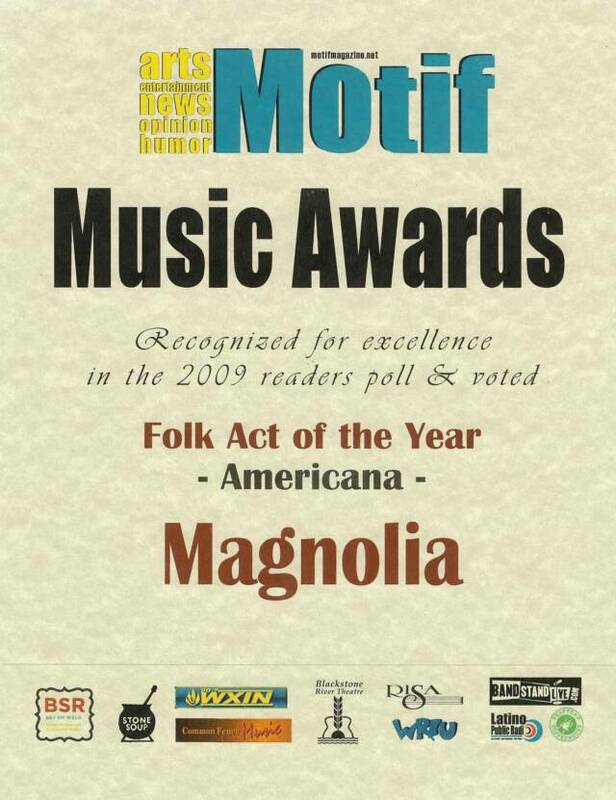 Magnolia has won the Folk Act of the Year in the Americana category! Rhythm and Roots Festival, RI. Waterfire of Providence. Sal's Production's Christmas Party and Bayou'n Boogie Fest. Big Easy Bash. Lagniappe Mardi Gras Bash at Rhodes on the Pawtuxet. New England Folk Festival. Boston Folk Festival. Albany Cajun Dance Series, Long Island Traditional Music Association. Worcester Cajun Dance Series. Wethersfield Cajun Dance Series. New Bedford, Summerfest. Westport Harvest Festival. Woonsocket Mardi Gras Ball. Tiverton Four Corners Summer Concert Series. Magnolia plays festivals and concerts throughout the region. for weddings and other private functions. excellent dance instruction in a relaxed, informal atmosphere.